I painted two dining hutches the same colors, off-white and brown. But these two hutches are totally different in style and make up. One is very modern and not made of the best materials and one is solid wood and definitely country style. 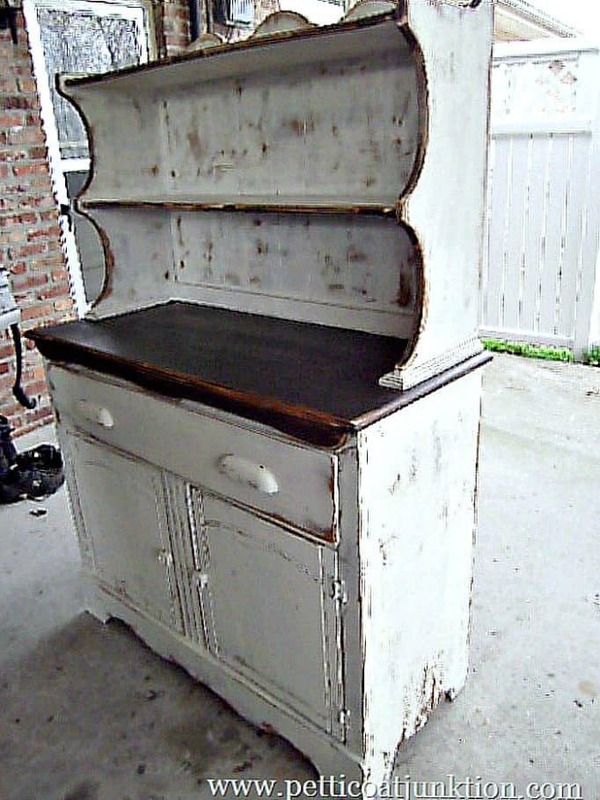 How pretty is that hutch. Great place to display pretty stoneware. It didn’t always look like this. This is how it started out…..tacky, ultra-shiny, kind of fake wood look. As you can see it didn’t have to be painted, but a paint job would definitely improve the look. I liked the lightness of it so just wanted to give it a real paint job not the factory fake looking stuff. That’s why I stuck with the white and chocolate. 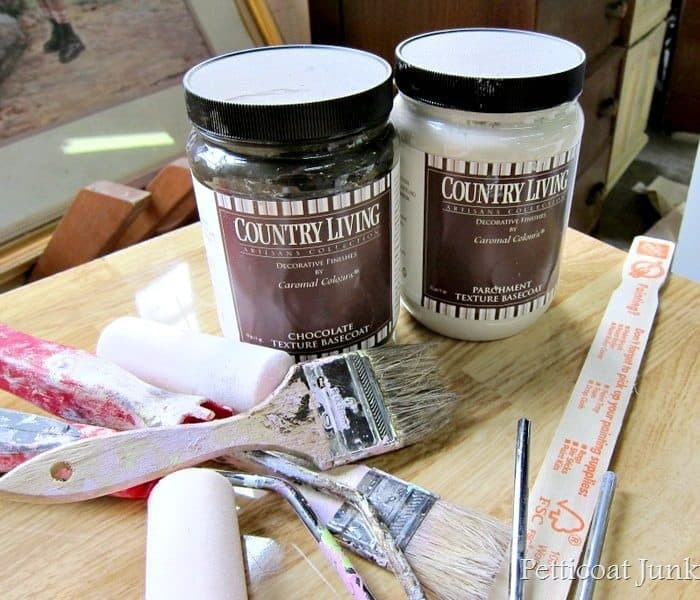 I used my favorite go-to, Caromal Colours Country Living Collection for this project. 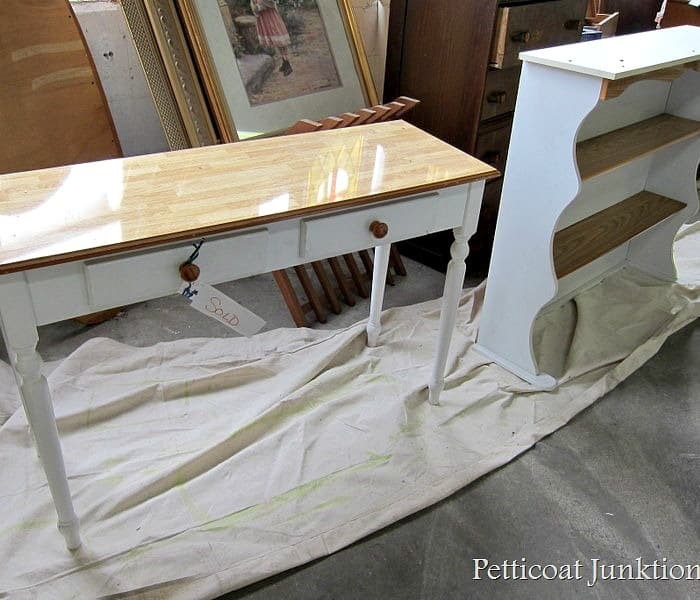 The paint is really thick and can be used to get a rough textured look on furniture. Or it can be smoothed like I did for this project. I painted everything but the top of the base off-white. A white white….is really white. This off-white is the perfect color. I used chocolate for the top of the base. The dining hutch looks so much better now. At least I think so, what about you guys? The next dining hutch project I don’t have the before photo for. Sorry! I used Beyond Paint for this second makeover. 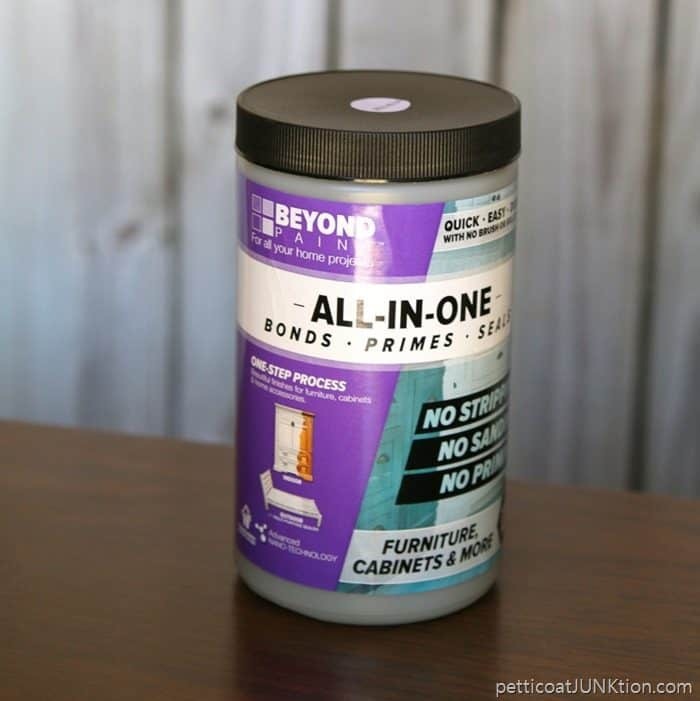 The Beyond Paint was at one time made by the same company that makes the Caromal Colours paint. It is now made by a different company but the formula is the same. The Beyond Paint is thinner than the Caromal Colours Textured Basecoat and goes on like butter. 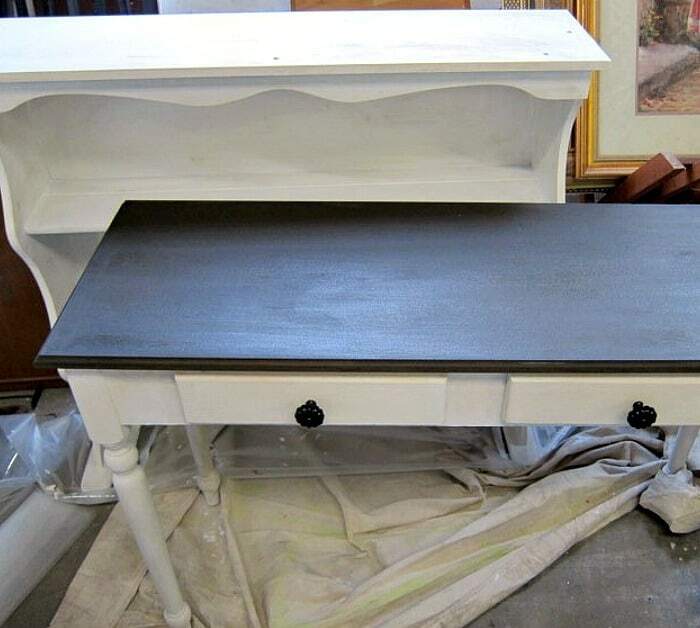 The paint is a primer, paint, and sealer, all in one. No need to prime or wax the paint. See what I mean about this one being more country? I think it has more character too. The colors in the Beyond paint are Mocha and Off-White. 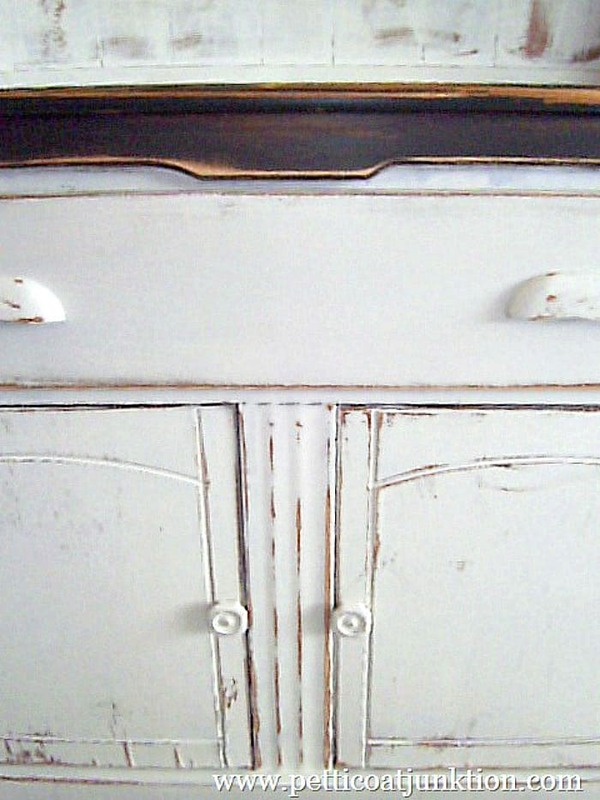 You guys know how I love distressed paint. 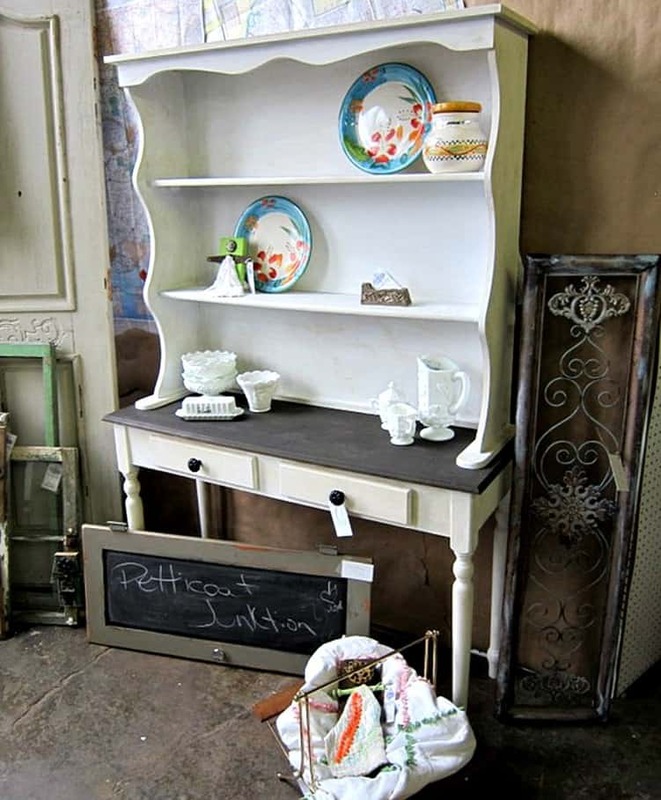 I didn’t distress the first dining hutch and buffet but this one begged for distressing. I used my electric sander and went to town. Meaning I distressed the heck out of the paint using 60 grit sandpaper. The bottom or buffet part had a lot of pretty details. It also had a bit of rippled veneer. The rippled veneer distresses nicely too. Don’t pass up a piece of furniture because of veneer problems. I just painted the original wood knobs. I love wood knobs. I like those wood drawer handles too but not as much as the knobs. Sara the shop owner where I have a booth and where I painted the first dining hutch loved this country buffet/hutch and bought it for her home. What do you think of the two makeovers? Which piece do you like the best….the modern one, or the country classic? 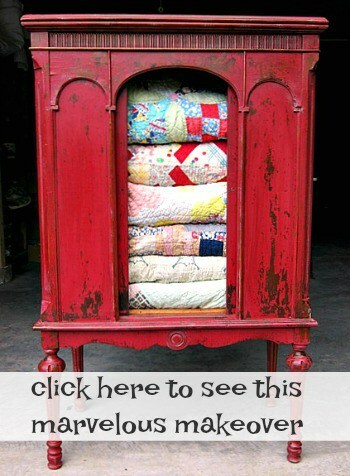 That is a very cool rustic hutch! And I don't believe I've ever been here before, but I see my 2011 favorites post linked above. Not sure how that happened. But it's nice to meet you and thanks for joining my party! It's beautiful! 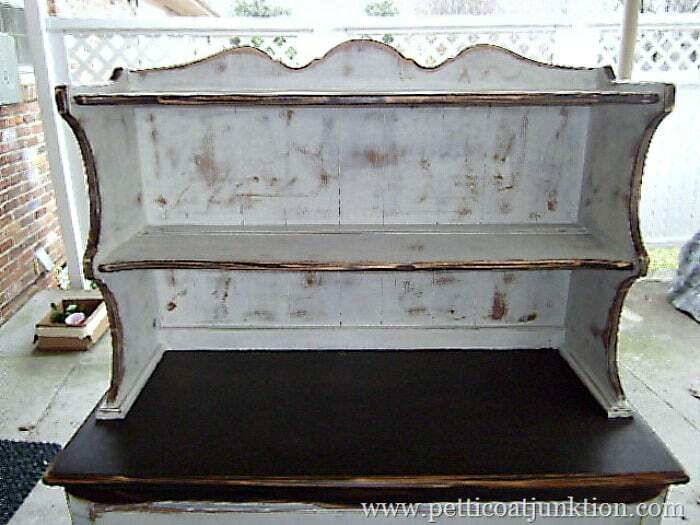 We have a hutch we're redoing, but have to sort of marry it with a bottom part. Yours turned out just lovely! Well done! LOVE this!!!! 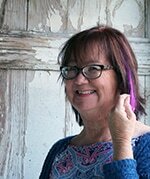 I agree with Jrn…..lots of bright dishes…..oh my!!!! 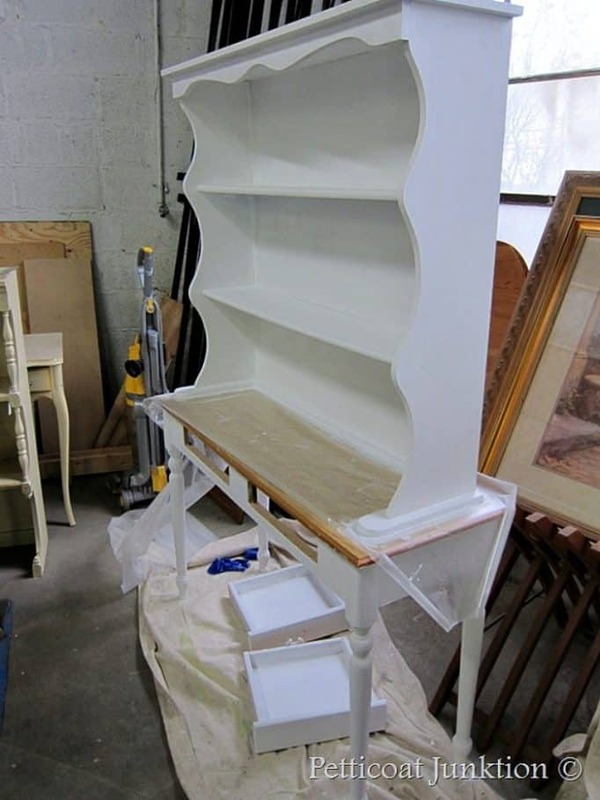 I love that piece; what a fabulous find! Such a pretty, rustic piece…you do nice work! 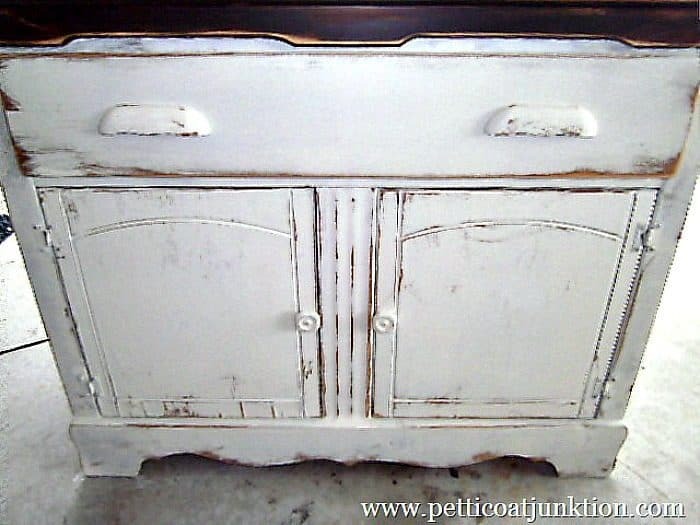 love the work rustic look of this piece! and i love those wooden handles on it! so cool! This is great work of art. It couldn't get any better I don't think.